Welcome to the Land of Waterfalls! 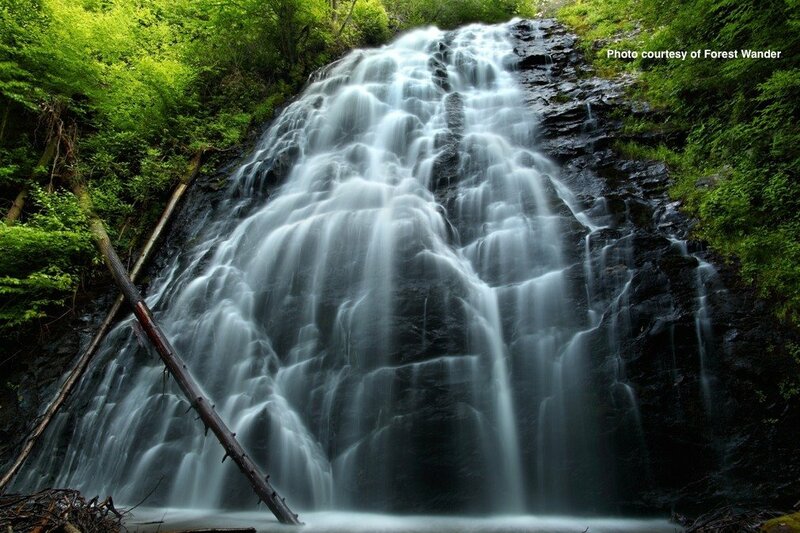 Transylvania County can justly claim to be “The Land of Waterfalls,” as some 250 waterfalls exist in the county. 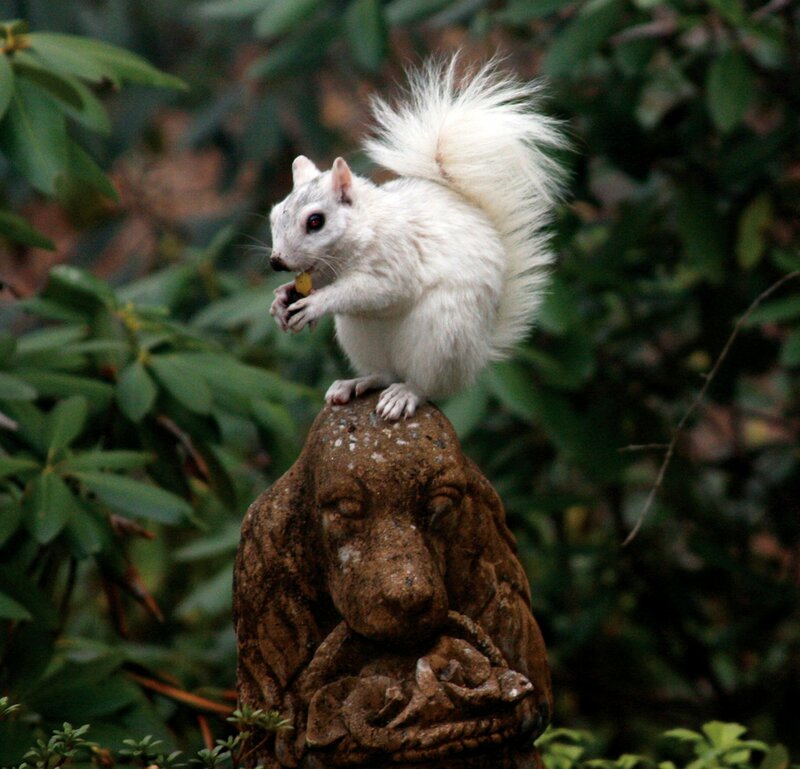 Some are relatively small and gentle. Others take big, breathtaking plunges into mountain pools. Looking Glass Falls, for example, drops 60 feet amid a stunning crop of boulders and is one of the most-photographed waterfalls in the country. The nearby and wildly popular Sliding Rock is a natural waterslide! Thousands of visitors slide down its long, slick surface into a six-foot-deep pool at the bottom. These two are easily accessed from parking areas, but many more waterfalls can be discovered just a short hike away. 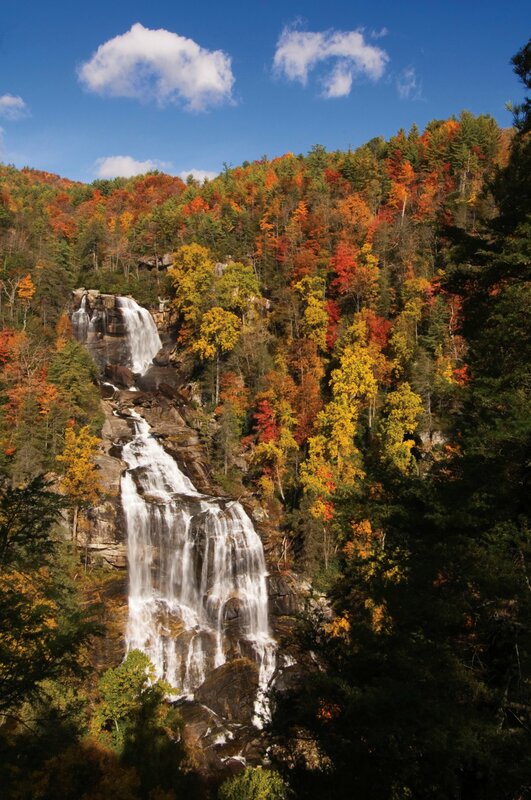 Whitewater Falls is the highest waterfall in the Eastern United States. The multitude of waterfalls in the area correlates to the rainfall the area receives. 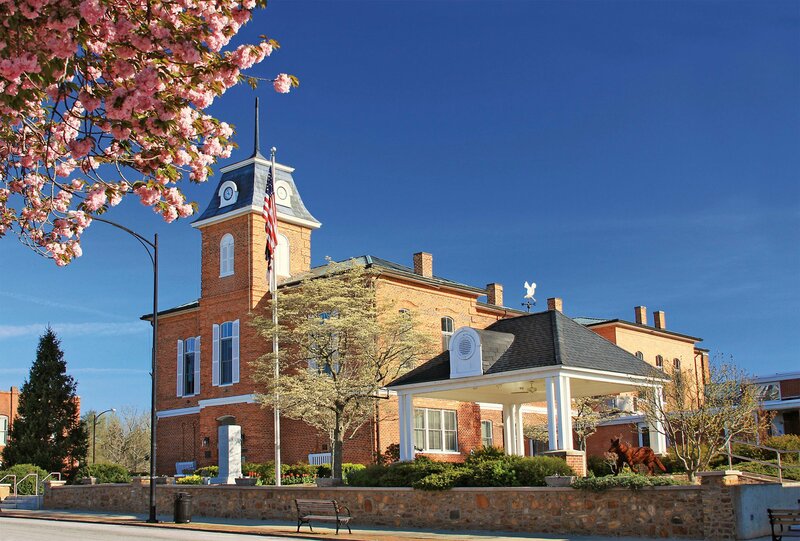 Transylvania County receives more than 90 inches of rainfall annually, making it the wettest county in the state. This is contrasted by Buncombe County. While only 30 miles northeast of Transylvania County, Buncombe receives the lowest precipitation. Remarkably, more than half of the land in Transylvania County is publicly owned and protected. This includes 88,000 acres of Pisgah National Forest, the 10,000-acre DuPont State Park, the 7,600-acre Gorges State Park, and the new 6,700-acre Headwaters State Forest. Together, these lands offer myriad opportunities for biking, camping, climbing, hiking, horseback riding, paddling, and sightseeing. The headwaters of the French Broad River, one of the oldest rivers in the world, are also located near Brevard. A few miles west of town, master guides at Headwaters Outfitters help residents and visitors alike take advantage of all the river has to offer. It’s a hot spot for tubing, canoeing, kayaking, and fly fishing. Nearby, the Davidson River, another renowned trout-fishing destination, flows through the Pisgah National Forest. The Blue Ridge Parkway traverses through parts of Transylvania County, affording spectacular views of the Appalachian Mountains, which reach over 6,000 feet (1,800 m) in elevation in the county. The highest point, Chestnut Knob, 6,025 feet (1,836 m), lies northwest of the county seat of Brevard. Another natural treasure, tucked within the Pisgah National Forest, is the Cradle of Forestry. This 6,500-acre heritage center was the site of the first forestry school in the United States. The national forest is also home to the Pisgah Center for Wildlife Education, a state-run facility that hosts students of all ages to learn about the region's unique biodiversity.